As the continuation of Ibu Biko’s Gorontalese dishes on the previous post, I would like to also share the recipes that she cooked specially for us during the photo shoot. I hope you can try this back at home too. Have fun! Boil water inside a casserole pot. 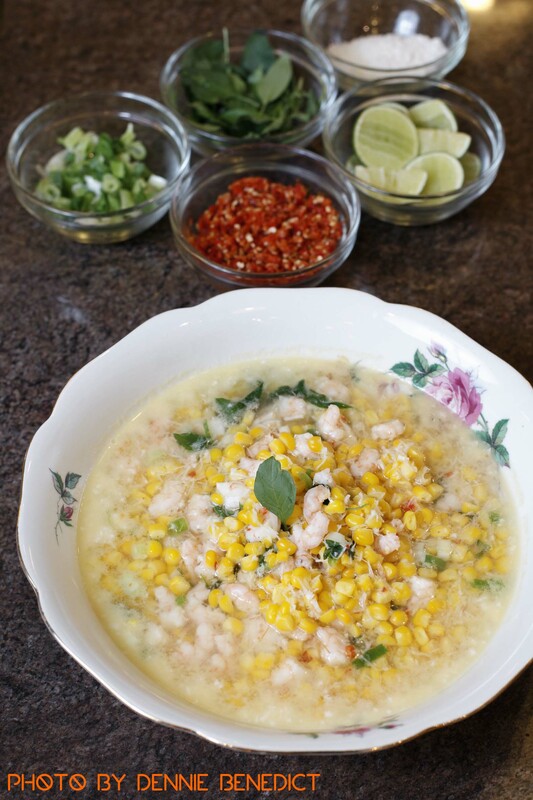 Once boiled, cook the corns and the shrimps. Put in the grated coconut and lastly, some of the condiments (chilies, shallots, lemon basils, scallions). Once cooked, serve on individual bowl and serve also the condiments – to be added in the soup as you like it. Recipe is provided by Omar Niode Foundation and Biko Mointi Boekoesoe – owner of Talaga Cookery.